Well, we're in for something better and I can't contain my excitement to share this piece of news with y'all any longer! 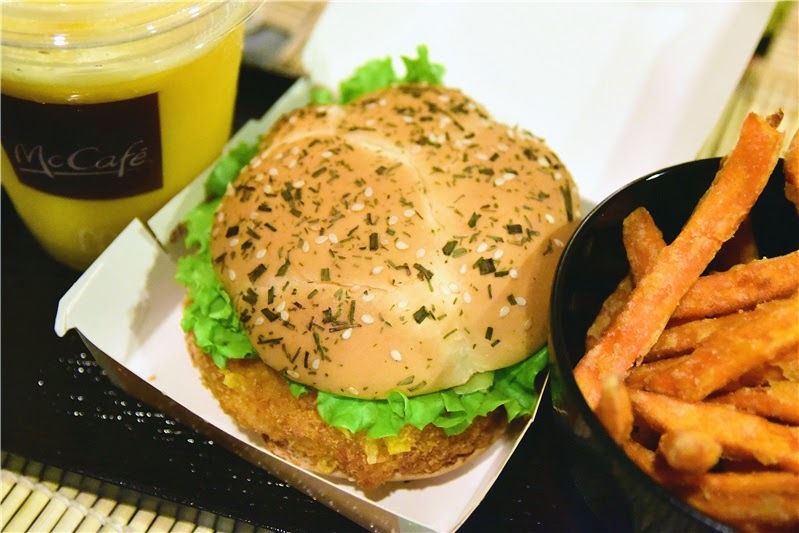 Come 3 September, McDonald's will introduce their NEW Cereal Ebi Burger on the menu, but for a limited time only. In case you aren't aware, ebi means prawn in Japanese. I was one of the first few lucky ones in Singapore to have sunk my teeth into the new delight at McDonald's special preview event. 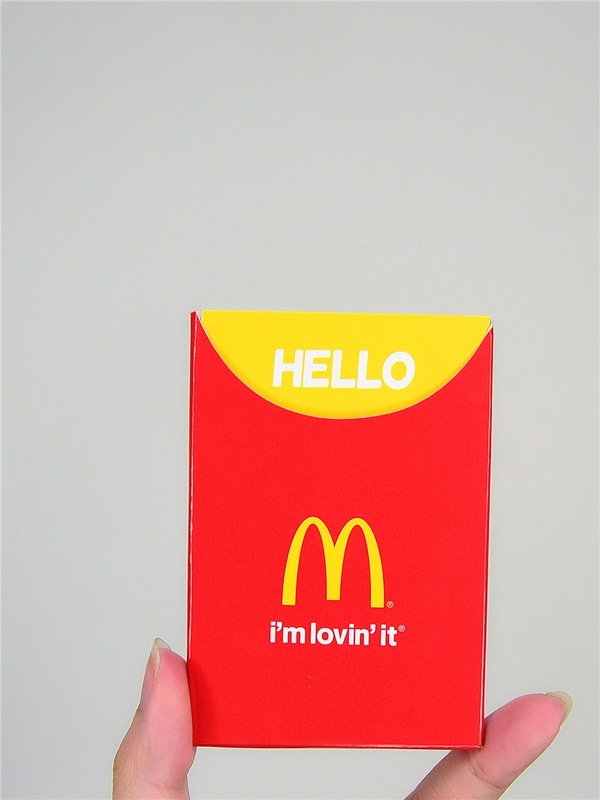 McDonald's, you're doing it right. 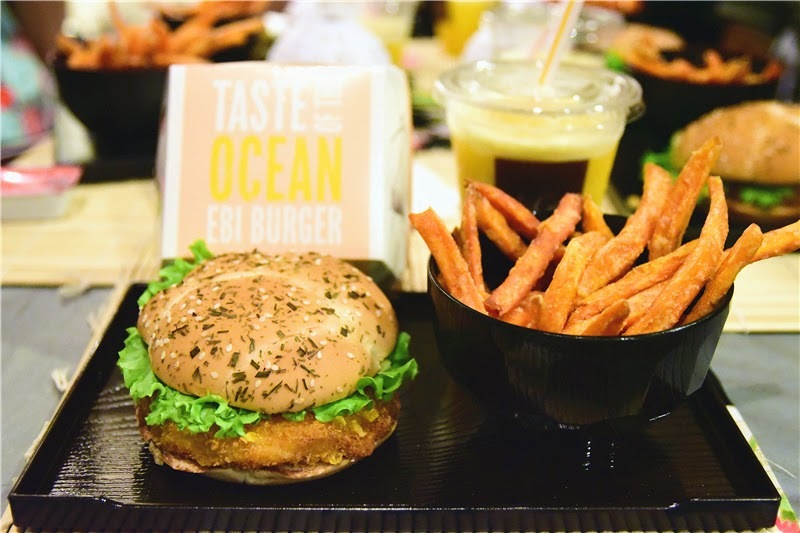 I preferred the new Cereal Ebi Burger as compared to their previous one. This fusion hit the right notes for me. Firstly, the flower-shaped buns were topped with white sesame and chive, which was a clear distinction from their regular buns. 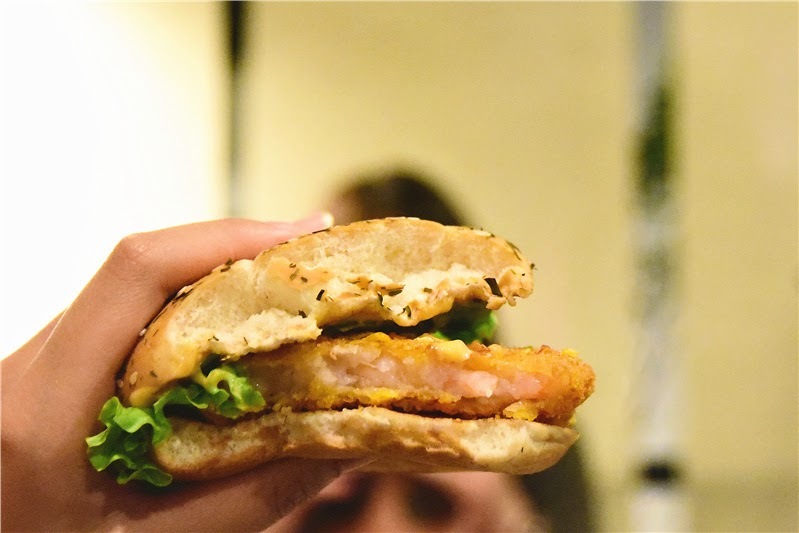 While the patty with whole and plump shrimps remained more or less similar, there was more crunch with the cereal coating. In addition, I think Singaporeans will love their shrimp paste flavoured mayo sauce with a manageable spicy kick. McDonald's also welcomed the new Sweet Potato Fries addition to their sides. Dear McDonald's, please make these fries a regular! For a full Ebi-Kase experience, I recommend you grab their Cereal Ebi Special. The set includes a Single Cereal Ebi, Coca-Cola (S) and Sweet Potato Fries (M) for $7.45. For a healthier meal, you have the option to swap your side for a corn cup, free-of-charge. Alternatively, you can top up $1.20 for Garden Side Salad. For people in the Sweet Tooth Club like myself, don't worry, McDonald's didn't leave us out. 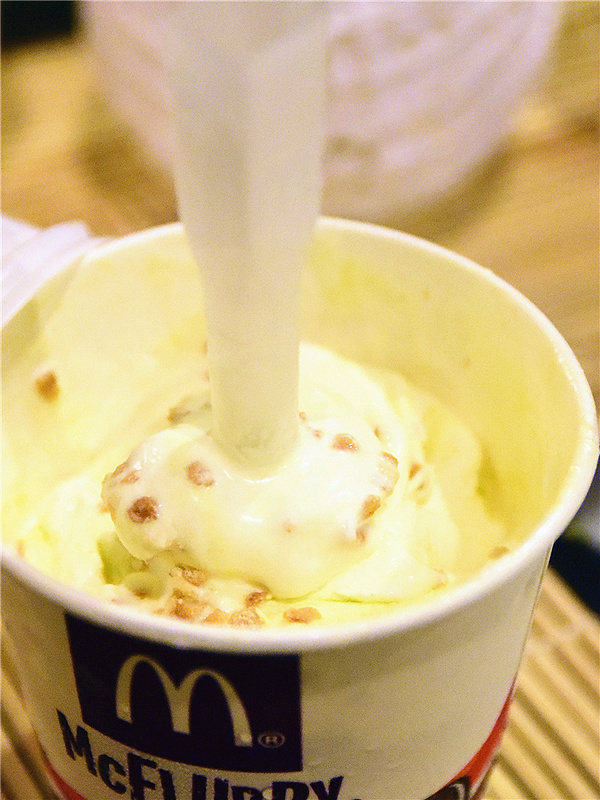 The Honeydew McFlurry ($2.90) will deliver a sweet ending to your meal. I admit, there was a slight difference from how it looked on the brochure VS in real life... To add on, the taste was too sweet for my liking. Nevertheless, I enjoyed the accompanying abundance of crunch bits with every mouthful of ice cream. Feet Haven Reflexology Opens At Serangoon Gardens! Mellben Signature Seafood - New Outlet!